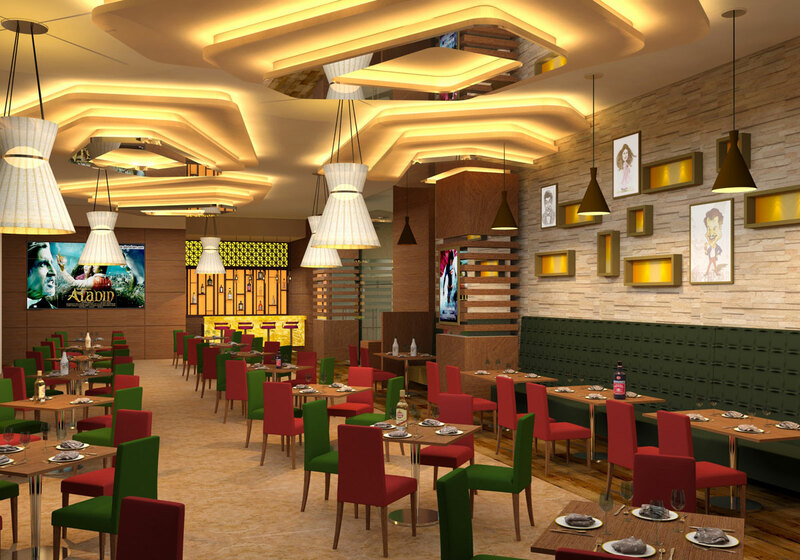 The project is a Multi cuisine restaurant. Following the latest trend of design we have used rustic finish tiles for floor and walls. Green colour and red colour upholstery used for seating to create youth friendly atmosphere. Banquette seating backdrop wall has collage of caricatures of famous bollywood stars in black and white theme. Hanging lights gives the space a contemporary look.